A manufacturer of construction materials in Mexico reduces infrastructure costs without sacrificing performance or availability when it engages IBM Cloud Services to begin using a SoftLayer virtual infrastructure for its SAP environment. Tabicel aimed to expand its precast concrete materials business – but staff were constantly busy managing slow, inflexible IT systems, presenting significant barriers to growth. The company engaged IBM Cloud Services and switched to cost-effective, high-performance, scalable SoftLayer Infrastructure-as-a-Service solutions to support its SAP business management software. Being able to design, manufacture and distribute eco-friendly “green” products for building projects is increasingly identified as a key differentiator for manufacturing companies. Jair Muñoz, IT Manager at Tabicel, explains, “If you want to open the door to new opportunities, sustainability of raw materials is a crucial aspect to focus on. Customers today no longer want just great quality products, they also require them to fit into a community-wide effort towards environmentalism – a concern that is more and more pressing in Mexico. To drive sustainable growth, Tabicel realized that it needed to invest more time as well as more financial and human resources into the design and planning of construction materials, which would minimize the impact on the environment. The SAP® Business One® business management software at the heart of Tabicel’s operations enables the company to manage everything from finances to logistics, from inventory to production. Tabicel was particularly keen to ensure that any move to cloud solutions would offer complete reliability as well as the scalability and flexibility benefits. After evaluating several IaaS solutions, Tabicel approached long-term partner IBM® Cloud Services for assistance, which recommended the SoftLayer® cloud infrastructure. As part of the agreement, the IBM Cloud Services team offered additional remote monitoring, management, firewall, virtual private network and vulnerability assessment services, which provided the guarantees that Tabicel needed to feel comfortable with the move to the cloud. “IBM’s packaged offering for SAP Business One was so wide-ranging and such great value for our money that it immediately looked like what we needed. If you add to the mix our past, successful collaborations with IBM and the trust we built over time, then you have a winning solution,” says Jair Muñoz. Working with IBM, Tabicel migrated its SAP Business One environment to SoftLayer, sizing it to ensure hugely increased system performance – yet without capital outlay. Additionally, because the SoftLayer service provides massive scalability, Tabicel is able to add new functionality without the constraints and delays of fixed infrastructure. The company is in the process of implementing new systems for invoicing, customer relationship management and raw materials processing management, which are all connected to the company’s SAP Business One platform. “We can keep up with business demand to add systems in an affordable, flexible way because we now rely on latest-generation, forward-looking IaaS technology backed up by IBM,” says Jair Muñoz. Significant performance and response time improvements allow Tabicel’s staff to devote more time and resources to performing more valuable business activities. Jair Muñoz specifies, “The amazing response time improvements of around 80 percent represents both technical enhancements and enables staff to work more quickly and productively. Tabicel has also slashed the costs linked to infrastructure management, as Jair Muñoz explains, “In the past, every time that we needed to implement a new system we had to purchase, configure and deploy a new server, and this significantly increased capital outlays, complexity and delay. Founded in 1983 and headquartered in San Luis Potosí, Mexico, Tabicel S.A. de C.V. manufactures precast concrete. 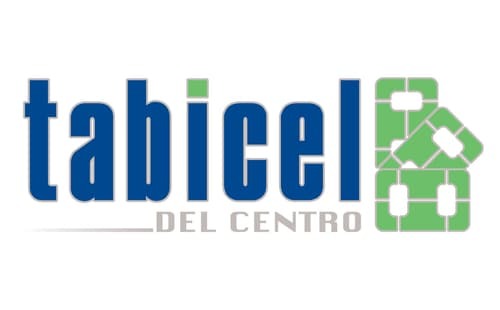 Employing approximately 300 people, Tabicel operates three facilities and four distribution points across the country, and is one of the industry leaders in the central and southern areas of Mexico. © Copyright IBM Corp. 2015. IBM Deutschland GmbH, D-71137 Ehningen, ibm.com/solutions/sap. IBM, the IBM logo, and ibm.com are trademarks of International Business Machines Corporation, registered in many jurisdictions worldwide. A current list of other IBM trademarks is available on the Web at “Copyright and trademark information” at http://www.ibm.com/legal/copytrade.shtml. SoftLayer® is a trademark or registered trademark of SoftLayer, Inc., an IBM Company. Other company, product or service names may be trademarks, or service marks of others. This case study illustrates how one IBM customer uses IBM and/or IBM Business Partner technologies/services. Many factors have contributed to the results and benefits described. IBM does not guarantee comparable results. All information contained herein was provided by the featured customer and/or IBM Business Partner. IBM does not attest to its accuracy. All customer examples cited represent how some customers have used IBM products and the results they may have achieved. Actual environmental costs and performance characteristics will vary depending on individual customer configurations and conditions. This publication is for general guidance only. Photographs may show design models. © 2015 SAP SE. All rights reserved. SAP, R/3, SAP NetWeaver, Duet, PartnerEdge, ByDesign, SAP BusinessObjects Explorer, StreamWork, SAP HANA, and other SAP products and services mentioned herein as well as their respective logos are trademarks or registered trademarks of SAP SE in Germany and other countries. These materials are provided by SAP SE or an SAP affiliate company for informational purposes only, without representation or warranty of any kind, and SAP SE or its affiliated companies shall not be liable for errors or omissions with respect to the materials. This document, or any related presentation, and SAP SE’s or its affiliated companies’ strategy and possible future developments, products, and/or platform directions and functionality are all subject to change and may be changed by SAP SE or its affiliated companies at any time for any reason without notice.